Now how can I do that! 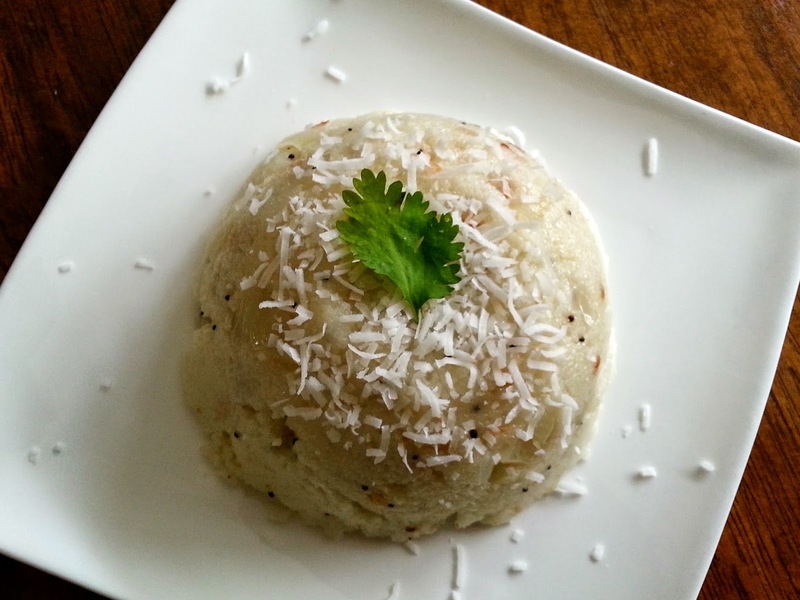 If I roast the upma, how will it still be no-roast? That, ladies and gentlemen is my quiz for you! Chopped coriander and desiccated/fresh grated coconut to garnish. Heat oil and add mustard seeds to splutter. Then add urad dal and curry leaves. When the dal turns golden brown, add the green chilli, chopped onions and crushed ginger and sauté until the onions are translucent. Add the rava and mix well till it is covered with the sautéed mixture. This will lightly toast the rava without browning. At this stage add the ghee, if using. Then add about 2 cups of boiling water and quickly mix the rava so as not to form lumps. Add some more water if required. Add the salt and sugar. Then, as the mixture starts to thicken, cover the pan and cook on low flame till the rava absorbs all the water. Stir it once or twice to fluff up the rava. Cook till the rava lets out a white steam. This is a sign of doneness. 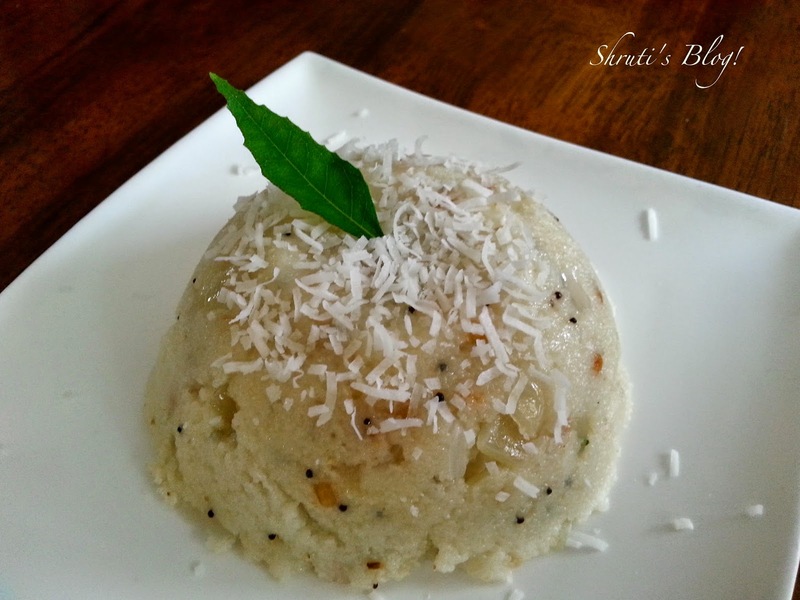 Serve garnished with coconut and coriander. Sometimes I prefer desiccated coconut to fresh, as it gives a really nutty flavour. 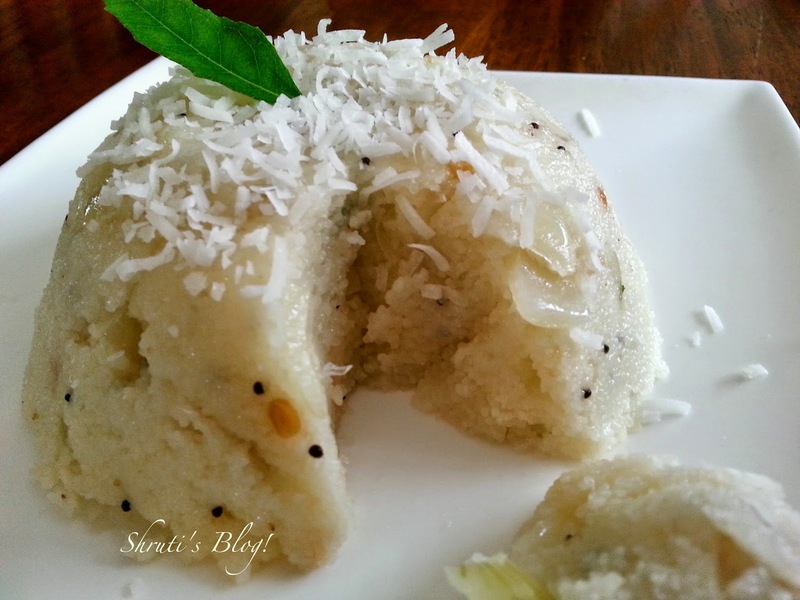 It is customary to serve it with coconut chutney, sambar or even sugar on the side.